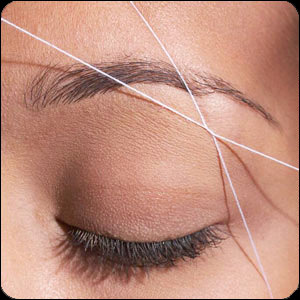 Visit our main site at www.brow-threading.com. Services include Eyebrow Threading, Eyebrow Tinting*, Eyelash Tinting*, Facial treatmetns, facial peels, Waxing*, Henna Art*, Henna Bridal Art* and more*. * Independence Center Mall offers only eyebrow threading and facial services. Only $13.00 @ Ward Parkway and Lenexa and $15.00 at all other locations. West, across street from Oak Park Mall in front of Kansas Sampler. Park West (backside) of building. Main entrance on NW Prairie View Rd. Lower Level at SE entrance by Petland. Inside next to GameStop. Upper level. Enter at N entrance next to Applebee's. Inside near Macy's. Enter West side of mall. Located main floor inside, S of Target & AMC.